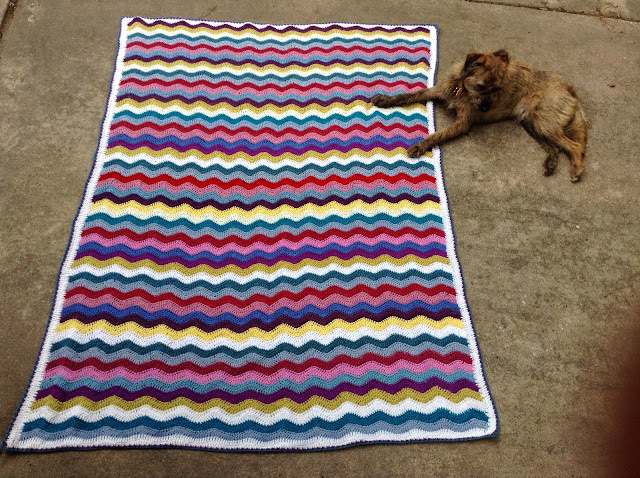 Crafty escapism: Crochet ripple blanket - ta dah! It is done. Feeling really quite happy with this. Edging is very pretty. 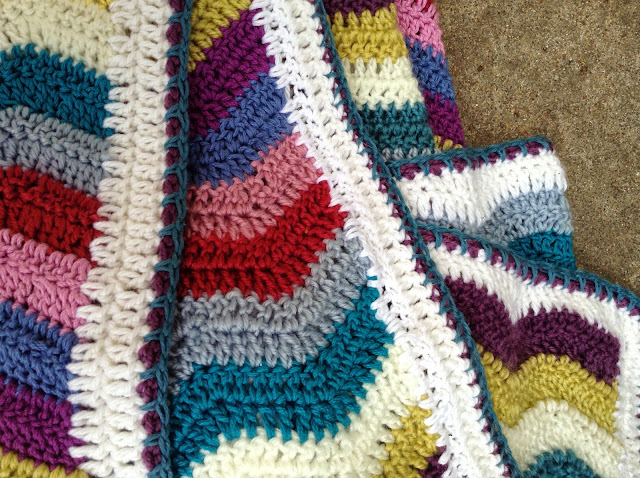 My first blanket (not counting the baby granny square). Took a LONG time. Measures 185 x 135cm approx. Size was dictated more by stash yarn availability than anything else. Entirely inspired by (and pattern from) Lucy at Attic24.